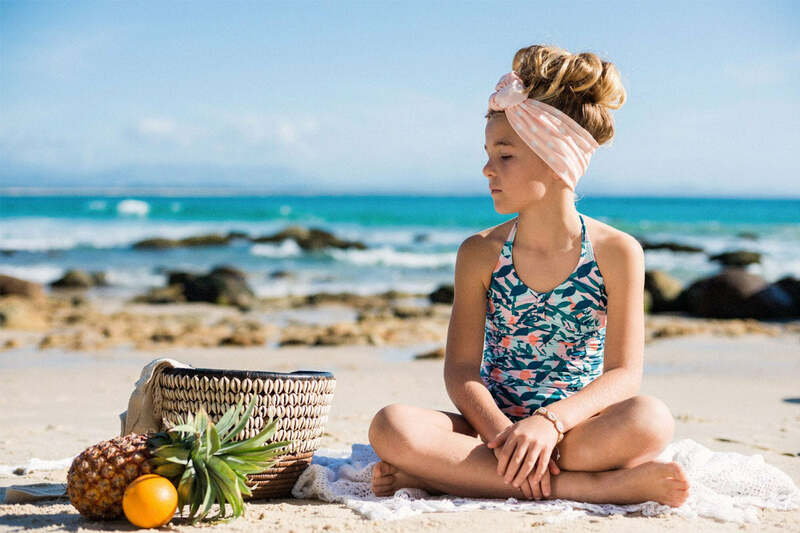 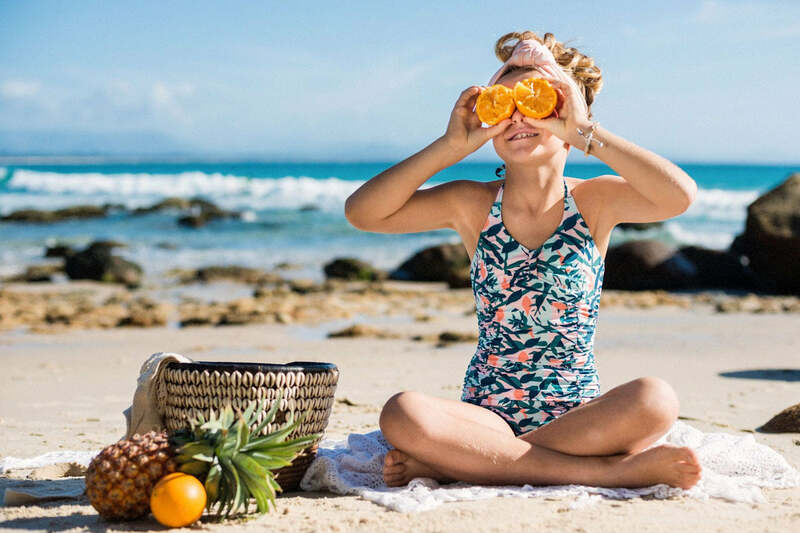 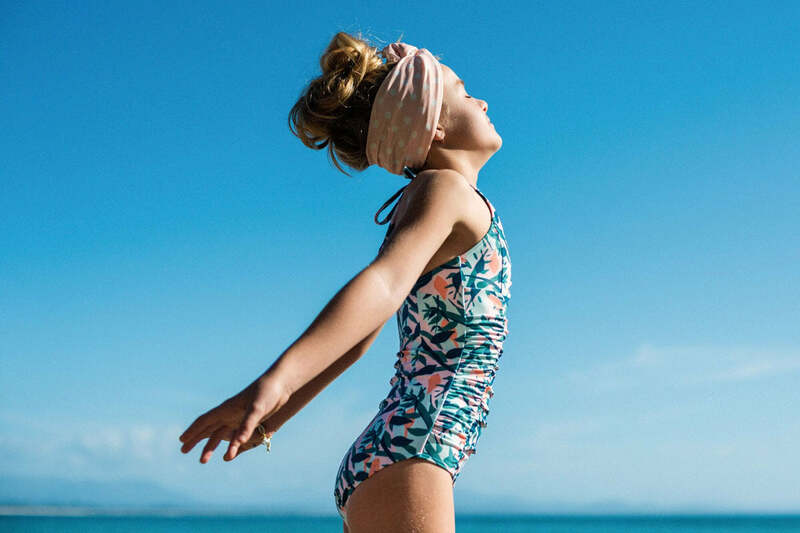 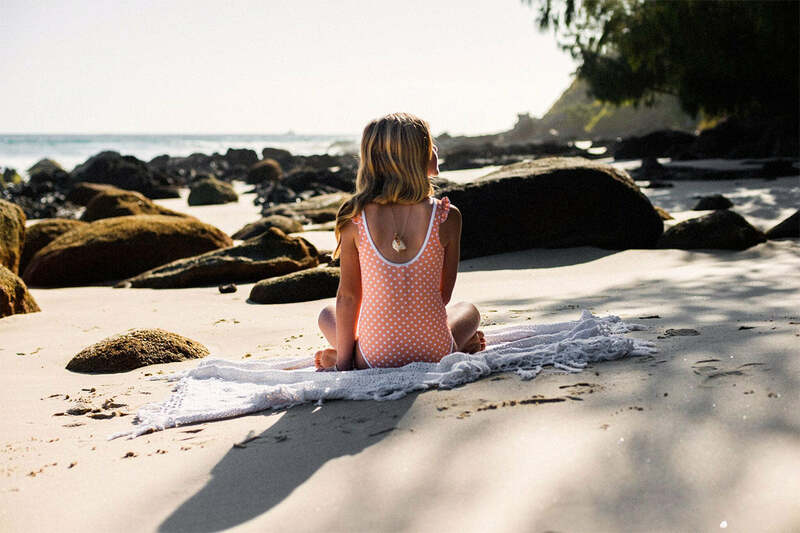 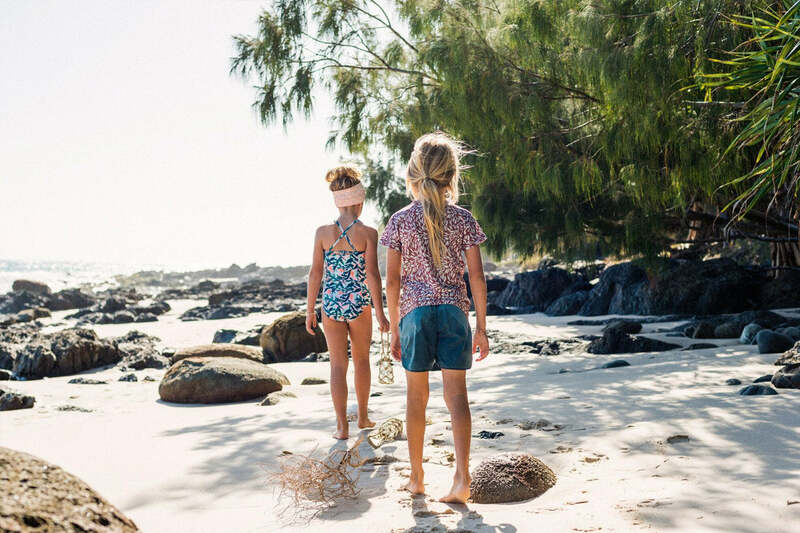 Designed for your little ocean lover, our Paradise Found Swim collection features one pieces, rsh vest, bloomers and swim tops so that your girls, boys and babies can be wild, beautiful and free, just like the sea. 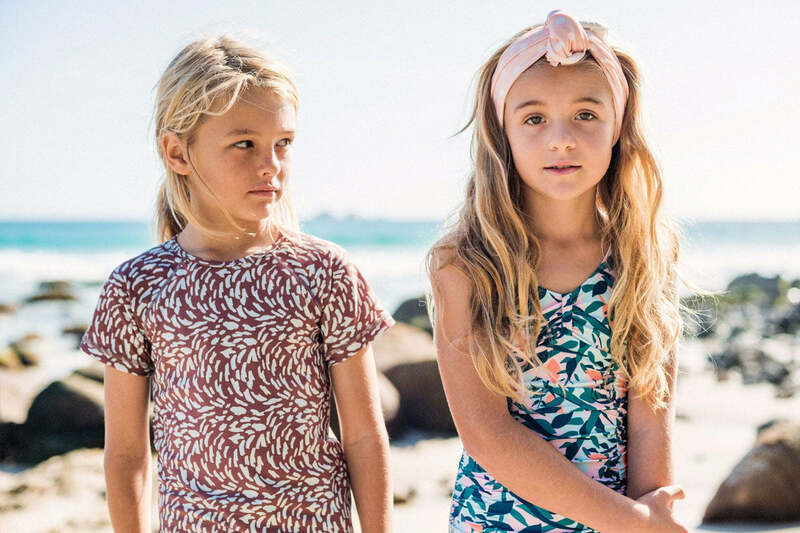 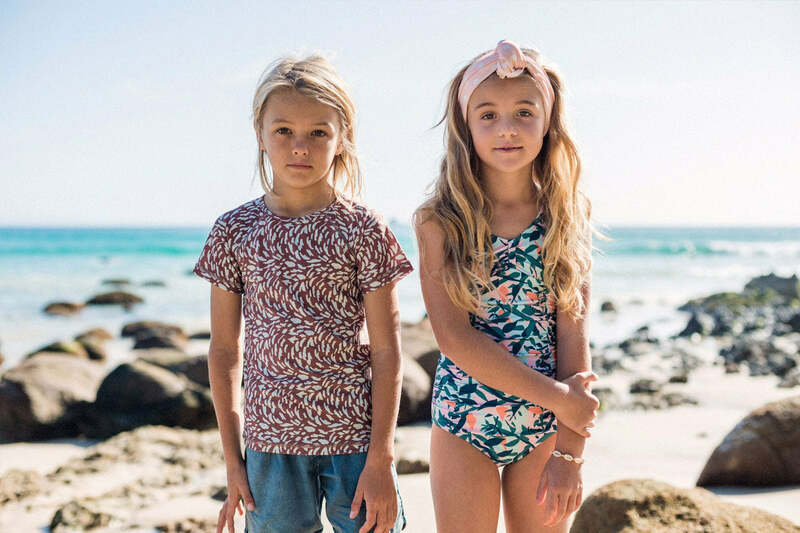 Inspired by children exploring the natural world and discovering beauty in places they’ve never seen before, this is Paradise Found Swim. 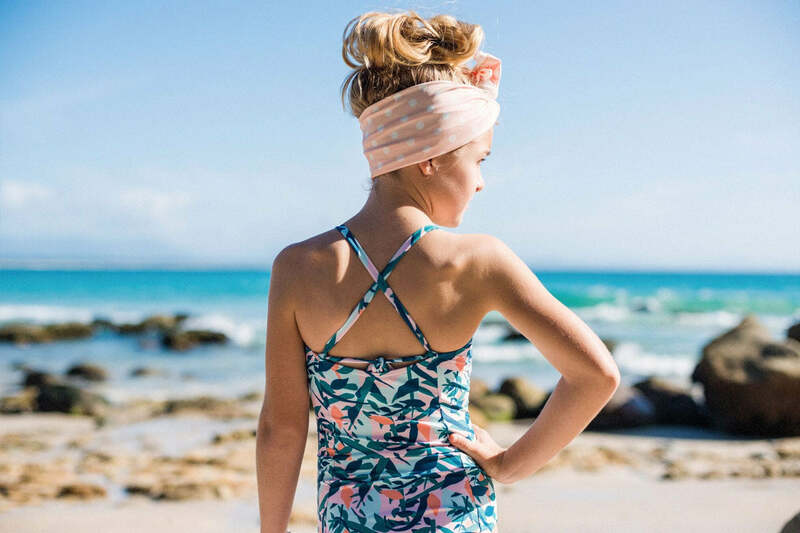 This gorgeous halter neck style features side rouging detail. 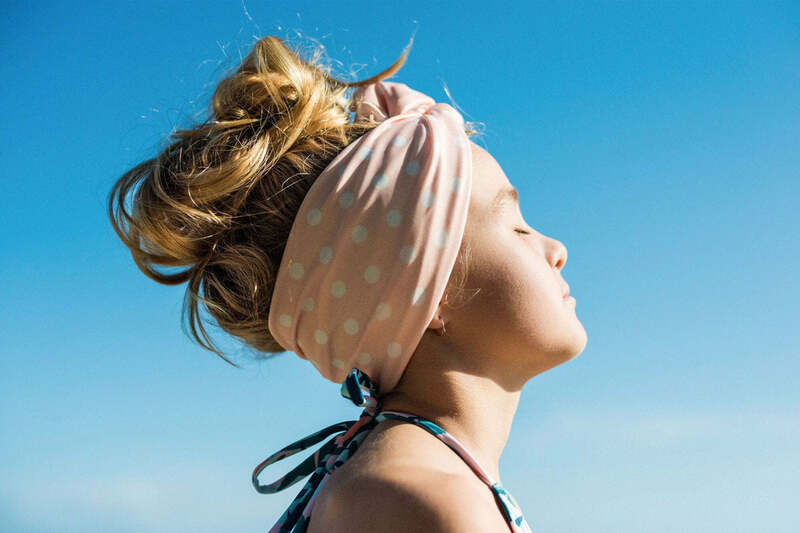 Tie at the nape of the neck or alternatively straps can be adjusted for a flattering cross-back look. 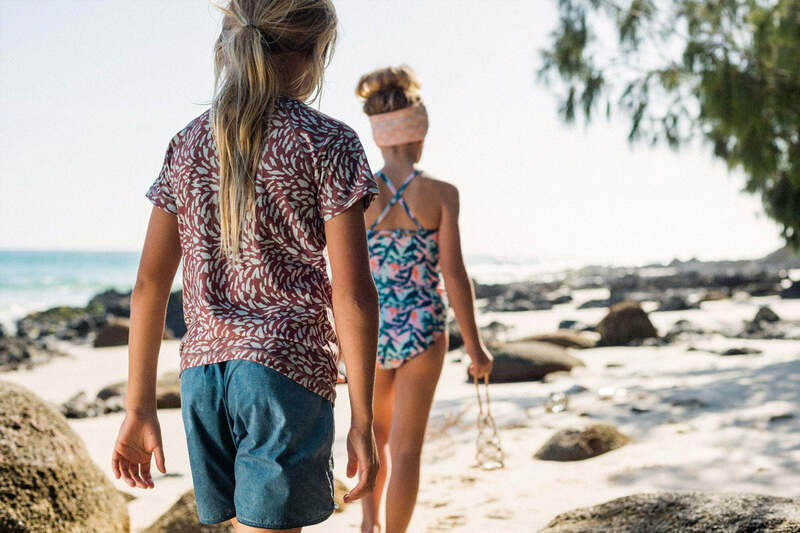 This classic one-piece style features cute frills on each strap, contrast white edging, a flattering scoop back and playful spotted print throughout.